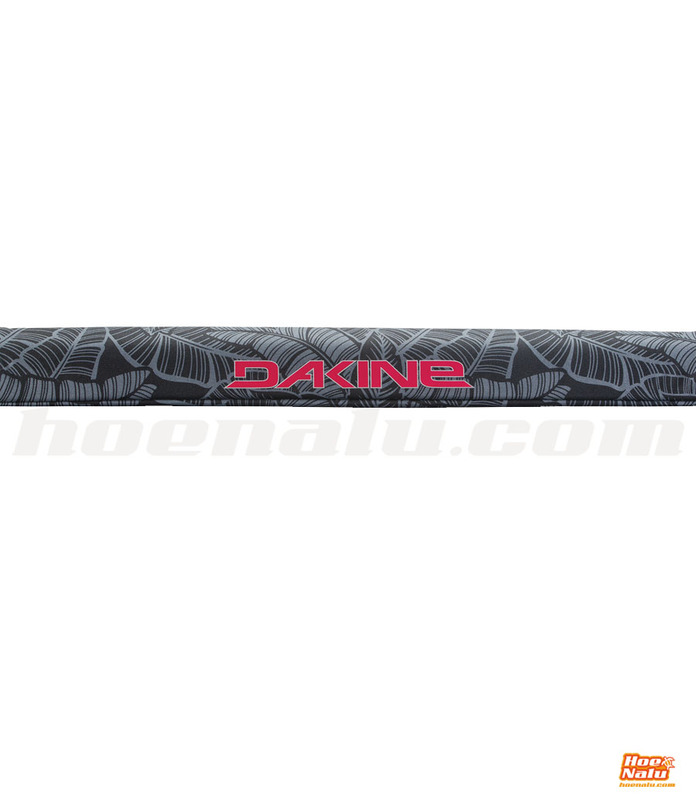 .The Dakine 28" rack pads are perfect for mounting on roof racks. There are two types available, Rack Pad & Aero Rack Pad, they adapt to the different type of bars. Rack Pad and Aero Rack Pad tubes from Dakine will protect your paddle board when you tie them to your car's luggage rack. Using them along with tie-down straps, you'll have a simple way to carry your boards when you travel with them. They are very easy to place, as they carry a velcro system, and are compatible with most of the roof racks used in vehicles. The Rack Pad model can be used with standard, round or square rails, while the Aero Rack Pad is especially suitable for bars with aerodynamic design. These barrel tubes have a high density padding, which provide great protection to your SUP board, preventing it from suffering any damage when tightening the straps around. Dense padding for high protection. 2 models with different design (Rack Pad, standard racks / Aero Rack Pad, aerodynamic racks). Trusted in all conditionsDa Kine is one of the most popular brand in surf, snow, windsurf, kite and also SUP. Amazing quality and design are the main two features of Da Kine.